Contemporary Split with tremendous potential on Acre lot. Vaulted, natural wood ceilings provide a modern feel. Recent roof with architectural shingles. 100amp electrical with circuit breakers 24'x25' two-car attached garage. Open concept makes this home live larger than the square footage would dictate. Flexible floorplan and adequate size allow for reconfiguration and possible addition of bedroom(s). This home needs work and likely will not not qualify for all types of financing. Please read disclosures and firm remarks carefully. Listing courtesy of Michael Barbera of Real Living Barbera Associates | Worcester. Disclosures Ma Health Lien On Property. Partially Negotiated. May Affect Closing Timeline. Property is Sold "As is where is". Selling Contact Has Not Occupied Home in Decades. Mold-Like Substance Apparent in Lower Level. Water Penetration in Ll. Will Not Qualify For Some Forms Of Financing. 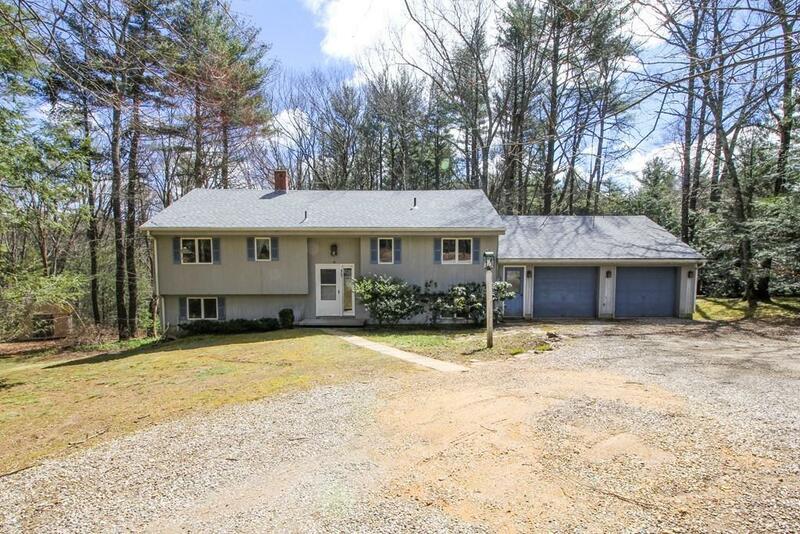 Listing provided courtesy of Michael Barbera of Real Living Barbera Associates | Worcester.